Belgium attracts beer enthusiasts like a magnet. As the ‘true north’ of brewing it draws Americans by the thousands. From Flanders to Brussels they cover the low countryside in search of small craft breweries. Yet, inexplicably, few venture southeast, to the sparsely populated hills of the Ardennes. In fact, on scanning a map of east Belgium, Americans may recognize Bastogne, focal point of the ‘Battle of the Bulge’, but sadly, little else. What a shame, because the pastoral woodlands, meadows and river valleys rival any scenery in the west, and so too do the breweries. Located at the very southeastern corner of Belgium, less than a mile from France, and only 17 miles from Luxembourg, lies the town of Bouillon. As part of the French speaking region known as Wallonia it may be the best get-away spot in all of Belgium. Nestled in a valley of the river Semois, Bouillon caters to vacationing Belgians, Britons, and French, and thus has sufficient hotels to service a variety of tastes and budgets. Better still, it serves as an excellent base for touring the region. Rooms at Aux Armes de Bouillon, in the center of town, average around $80 a night. Rates run slightly higher at Hostellerie du Pieure Conques, which overlooks the river from a vantagepoint close to the woods offering a complete feeling of the Ardennes. If on a limited budget other less expensive rooms can be found through wither a travel agent or the local visitors bureau. 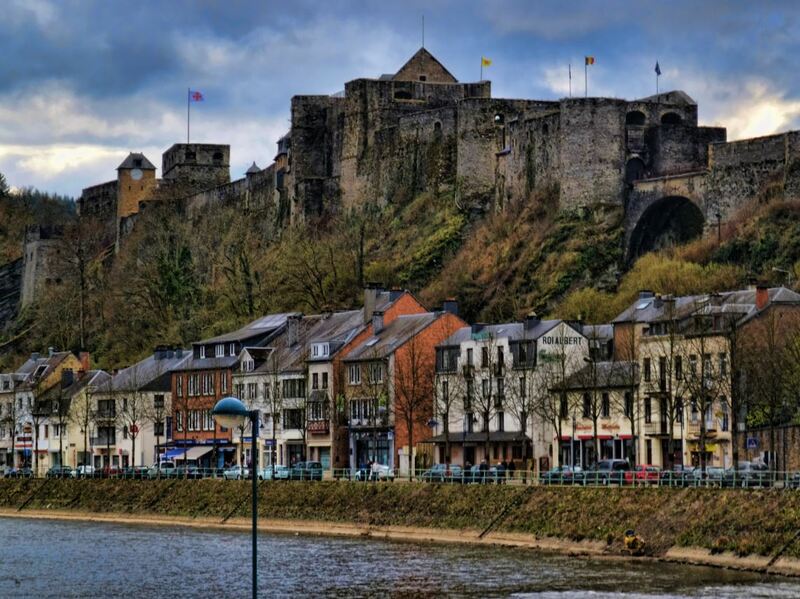 Spend your first day in town exploring the castle of Godfrey de Bouillon. Sprawling along a ridge that runs parallel to the river, the ramparts of Godfrey’s massive fortification protects and dominates the entire village. In the evening it captures attention even more, as lights illuminate its entire length. Godfrey was leader of the first crusade in 1096 and left the town with a legion of men, never to return. He died and was buried in Jerusalem, passing ownership of the castle to the prince-bishops of Liege, the population center to the north of Bouillon. Now operated as a museum: dedicating a day to it is time well spent. Later, after a long tour of Godfrey’s castle, a short walk down the hill provides several dining options directly below the battlement and along the river. Only a few hours from the sea, many of the local restaurants specialize in Belgium’s national dish – mussels. Served in a pot at the table, up to a dozen or more methods of preparation dominate the menus, but on a beer tour none appeals more than mussels in Gueze (the acidic, unblended Lambic beer.) After polishing off the mussels, ask for bread to dip in the rich broth. For an accompanying beer try a Hoegaarden ‘Wit’. Soft and unimposing, it complements the light, sweet mussels perfectly. On the following days use Bouillon as a hub for further touring. Only fifty easy miles away, the small hamlet of Achouffe combines more vistas of the Ardennes with a world-class brewery – La Chouffe. Smaller still than Bouillon, the sleepy little village sits quietly amidst the farmlands as lost in time. Though Achouffe remains relatively unknown, the beers have achieved international recognition. Brewer Chris Bauweraerts’ eyes twinkle in delight when he speaks of the way Americans have received his beer. Almost the embodiment of “Chouffe”, the elf-like character that graces the bottle, Chris smiles as he explains that ‘Chouffe’ represents the magic in brewing. Magic indeed, the flagship beer balances the barnyard and tart citric notes of traditional Belgian beers with a malty roundness, and a hint of candy-sugar. The result is a beer of surprising delicacy. No one flavor dominates. As one trait seems to emerge it suddenly yields to another, building into a subtle complexity. Spend the afternoon wandering along the peaceful, narrow roads, and then return to the Inn attached to the brewery for a meal that highlights flavors of the region. Not-to-miss specials include rabbit served in a creamy, farm-style sauce, along with other entrees that use beer in their preparation. All dishes combine the best features of nearby France and Germany, fine dining in hearty portions. Back in Bouillon, you can cap off the day in a beer bar called the ‘Estaminet.’ Located on a quiet side street across from the castle, you can comfortably relive your brewery experience or continue touring with one of up to 50 beers. In the morning, a new day offers another opportunity for beer worship, this time at the Abbey of Orval. Easy to reach, it ‘s only 15 miles from your base in Bouillon. Founded in 1110 it was destroyed several times, and was viscously sacked during the French revolution, which left most of the original monastery was left in ruins. Rebuilt most recently in 1926, it is once again run by an active order of Cistercian monks. Their vows require them to live off what they produce on-site, and to achieve this they make their own cheese and beer. Of the six monasteries allowed to call their beer Trappist, Orval brews the most distinctive. The other monasteries all comply with classic definitions of ‘single’, ‘double’ and ‘triple’ ales, while Orval developed its own unique beer. More of a Belgian Pale Ale, it has considerably more sweetness and much less hop flavor than its cousins from England or America do. Yet despite straying from strict stylistic parameters, it does exhibit the earthy aromas that clearly declare it Belgian. Arising from Orvals’ canvas of bright copper color escape notes of pineapple, pear, passion fruit, and the lightest possible suggestion of banana. It has a medium body that seems to build before it surrenders to a lingering sensation of tart bubble gum. Because the order adheres to the monastic rule, visits to the brewery are routinely, but politely, discouraged. However, a guided tour is offered through the non-working part of the monastery and its ruins. Along the way, it stops at a spring where legend tells of Princess Mathilda, who lost her favorite ring in its waters. While she prayed for its return, a trout surfaced with the ring in its mouth. In gratitude, Mathilda donated the funds to establish the abbey, and to this day the order remembers her gift by using a trout, with a ring in its mouth, as the symbol of the monastery. From Mathilda’s spring the guide leads you on a somber walk through the original cathedral’s arched vaults, and concludes in a tasteful gift shop featuring religious items and the order’s fine cheese and fresh beer. Returning again to Bouillon, visit the ‘Roi de la Biere’ for dinner. Along with a traditional Ardennes menu it cellars more than 40 beers, but Orval, the beer of the day, matches up to nearly every dinner selection. Then, as a nightcap, order a Carmelite Tripple. Made by the brewers of the more famous ‘Kwak’, it begins with a malty, full body, accented with high alcohol, and fades to a long, drawn out finish of caramel and candy sugar. By day four you may want to walk off some of the great beer you’ve been sampling, or simply crave a good stretch of the legs. If so, consider taking a day hike along the area’s rolling hills. A variety of trails, each with different lengths and degrees of difficulty, radiate from town. Staff of the local information center knows these well, and will cheerfully provide maps and suggested routes. By the next day you’ll be refreshed and ready for more beer touring. Additional beer and sightseeing combinations follow a route north out of Bouillon. Your first stop is beneath the ruined castle walls of ‘Chateau Comtal’ and home of Abbey St. Remy, brewers of ‘Rochefort’ Trappist beers. Though on many a beer enthusiast’s list of favorites, the order seldom opens its doors to visitors, so samples of their famous brew must be purchased in nearby Dinant, a small town six miles farther north. Dinant, like Bouillon, lies in the shadows of a castle-fortress. Built in 1560, the castle is accessible by either auto or cable car and contains a museum of warfare and weaponry. Over the past 400 years Dinant has been best known as a center for the craft of hammered copper, and work from local artists’ grace many of the well preserved shop fronts. After a morning of sightseeing head south, stopping at the tiny hamlet of Han-sur-Lesse, and its main attraction named simply ‘Les Grottes’ – the caves. A looping path leads to the portal of a subterranean passage and an underground adventure. After growing accustomed to the dim light, an otherworldly scene emerges of an underground river mirroring a backdrop of stalactites and stalagmites. Later that evening in Bouillon, the lights of Godfrey’s castle shimmering in the river’s reflection will recall memories of the day’s cave exploration, and Rochefort 8° ale caps the end of a perfect day. Yet another motor trip leads 45 miles northwest, through a corner of France, to the town of Chimay, namesake to the Abbey and a beer of the same name. Chimay is the largest and undoubtedly best known of the monastery breweries. 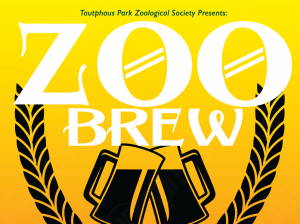 Founded in 1850, its members began brewing in 1862, and to this day follow some of the original recipes. Generally the order’s beer reflects the classic style definitions of trappist beers, with the exception of Chimay Bleu. Approach this beer with caution. Roughly hewn in the image of a dubbel, the deep, rich body of ‘Bleu’, buttressing a creamy malt and candy sugar profile, masks an elevated level of alcohol that nears a whooping nine-percent. Drinking too many of these in Chimay can make for a long drive back to the hotel. Instead, purchase some to enjoy later, in the safe confines of Bouillon. After a few days in the southern Ardennes your French improves, the pace of life becomes familiar, and the friendliness of the Wallonians settles you into a comfortable peace with your surroundings. Only then do you discover the most difficult part of visiting Bouillon – leaving. At home you’ll meet people disillusioned with Belgium. ‘Sure’ they’ll say, ‘the beer was great, but everything was too crowded, to commercial.’ Without asking you’ll know where they went: the west. You know better, you toured the Ardennes.